At SAFE Project, we ask ourselves every day what we can do to save a life. As part of that mission, we are passionate about making sure anyone who is affected by opioid use disorder has access to naloxone (also known by the brand name, Narcan®). Naloxone is a prescription medicine that reverses an opioid overdose by temporarily bumping opioids off their receptors. It cannot be used to get high and is not addictive. Naloxone is safe and effective; emergency medical professionals have used it for decades. Surgeon General Jerome M. Adams is urging more Americans to keep naloxone on hand and learn how to use it to save lives in the first national public health advisory in thirteen years. Bottom line: it saves lives. What is naloxone (also known as Narcan®)? Naloxone is a prescription drug that temporarily blocks opioid receptors in one’s body in order to reverse an opioid overdose until first responders arrive. Naloxone is administered when an opioid overdose is suspected. It can be given through a needle, a nasal spray (Narcan®), or an auto-injector (Evzio®). Narcan® is usually the option that is most cost-effective and easy to administer. 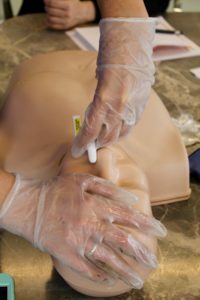 Where can I learn how to administer naloxone? Check with your local public health department. Your county may offer free training so you can learn how to respond to an overdose emergency. Additionally, there are many local anti-drug coalitions or opioid focused nonprofits that can provide training. Can naloxone be dangerous if accidentally given to someone who isn’t actually overdosing? Naloxone has no known adverse effects if given to someone who isn’t actually overdosing or who did not take opioids. Does my state allow naloxone? Yes, all 50 states allow medical providers to prescribe naloxone to patients who are at risk for an opioid overdose. However, 46 states have also implemented standing orders allowing anyone to purchase naloxone through their pharmacies. Standing orders are like invisible prescriptions that we can all access. For example, flu shots are often given under a standing order. A standing order is issued when the top physician of the state sees the need for a prescription drug to be made more easily available to the public without a written prescription from their personal physician. How much does it cost to buy naloxone? 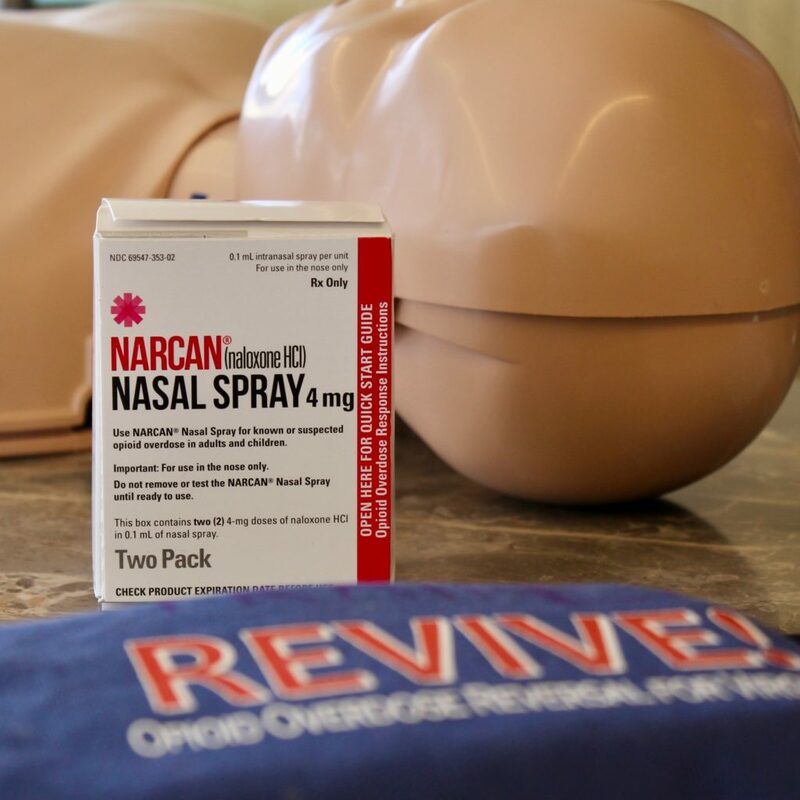 Narcan®, which is the nasal form of naloxone, is between $130-$140 without insurance. A typical co-pay for Narcan® is $11. Manual injection kits of naloxone require some training, but can cost between $20-40 without insurance. The auto-injector form of naloxone is close to $4000, but is sometimes covered by insurance. These are estimates, so your options may vary. Some pharmacies, such as CVS, offer a discount for those who do not have insurance. 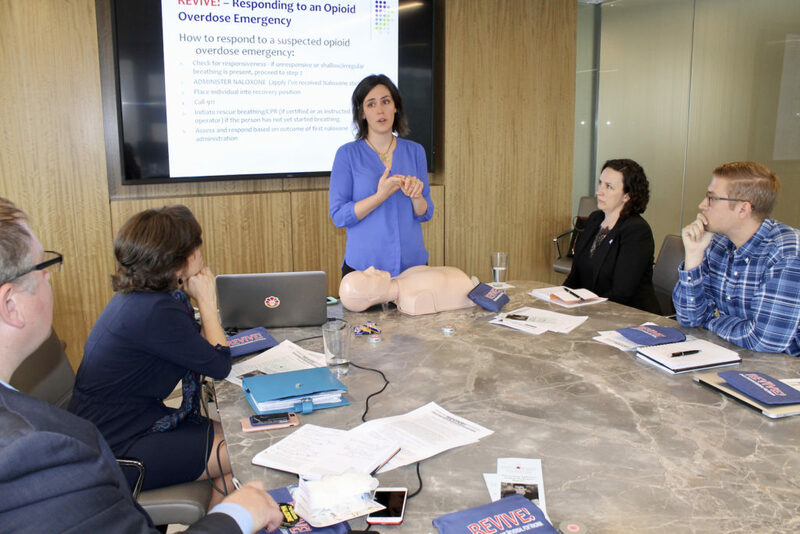 SAFE staff were trained on how to recognize an overdose and how to administer naloxone by Ginny Atwood, The Chris Atwood Foundation. Our vision supports action that will prevent fatal opioid overdoses, and to otherwise mitigate opioid addiction’s impact on our society. One of the most tangible ways we can do this is to encourage every citizen to carry and learn how to use naloxone – and learn how to save a life. SAFE Project is grateful to The Chris Atwood Foundation for training our staff on how to spot an overdose and reverse it with Naloxone.